I have worked as a builder in Dunedin for almost 10 years. Over that time I’ve worked for an incredible range of clients, from million dollar plus dream homes to small renovation projects. I’ve always sought to offer good advice, good workmanship and value for money to my clients. 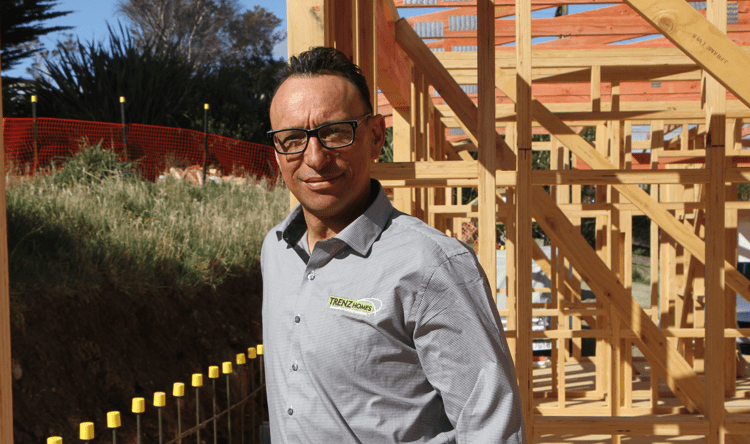 When TRENZ Homes asked me to become a licensee, it was an easy decision to make. The team at TRENZ Homes have a strong commitment to service, value and innovation which are qualities I hold important in my own business. Building a new home can be a daunting undertaking for any person. As a builder with a friendly and talented crew of builders, and as a licensee who is always willing to go the extra mile, I can take the hassle and worry out of the process for you. If you are thinking of building I would love to talk to you. I know TRENZ Homes can get you across the line at a price and level of quality that meets your expectation.